Just what are all these traffic counter pressure tubes on our road surfaces? We have had many enquiries about the numerous temporary video cameras and automated traffic counters (rubber pressure tubes on road surface) along several roads within our area and wider Walsall and neighbouring authorities. 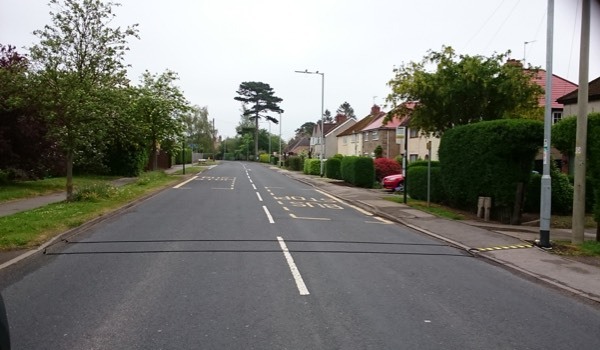 for this Council, where we assess vehicle types, speeds and numbers for all A and B roads on an annual basis and C roads every two years. This is to identify and inform the prioritisation of road safety schemes when coordinated with road accident data supplied by the police. I hope that this is helpful. I can confirm that these cameras are not average speed cameras. Average Speed Cameras are soon to be installed, the first phase, on A34 from Walsall TC towards M6 J7 in both directions and any speeding will then be enforced by the police.